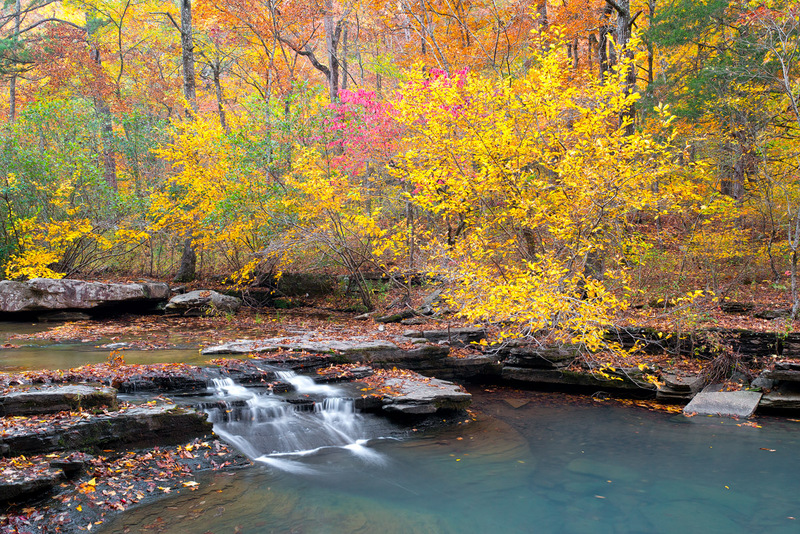 A small cascade along Haw Creek during the peak of fall color. Arkansas Nature Photography. Photo © copyright by William Dark.